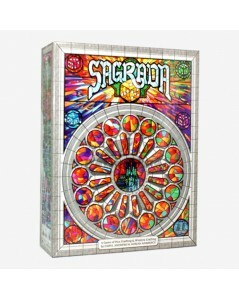 As a skilled artisan, you will use tools-of-the-trade and careful planning to construct a stained glass window masterpiece in the Sagrada Familia. Players will take turns drafting glass pieces, represented by dice; carefully choosing where to place each one in their window. Windows have unique color and shade requirements, and similar dice may never be adjacent so placing each die is more challenging than the last. Fortunately, you’ll have just the right tools to help you through. 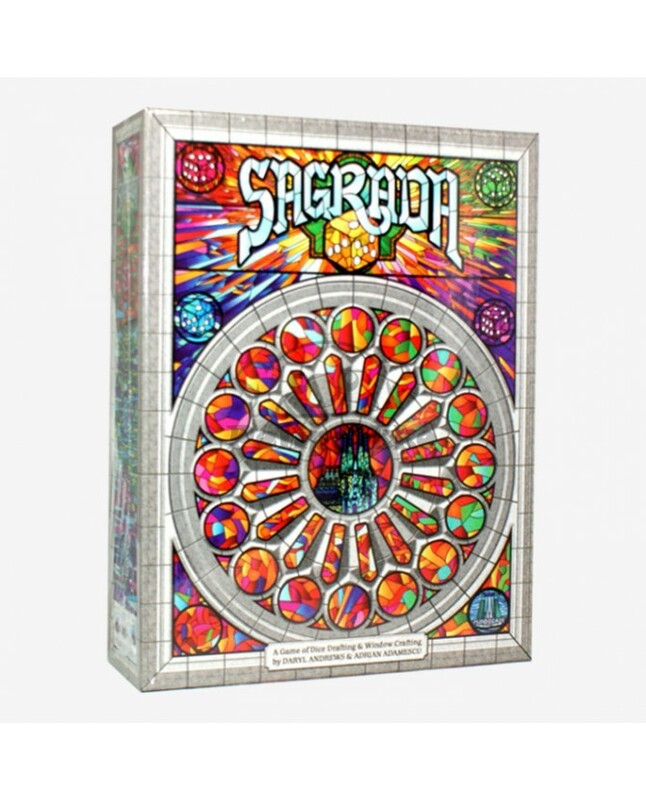 Gain prestige by adapting to the preferences of your fickle admirers, and of course, by adding your own artistic flair while completing your glass masterpiece in Sagrada. 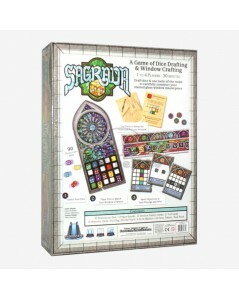 Sagrada - A Game of Dice Drafting and Window Crafting for 1 to 4 players that plays in about 30 minutes. Carefully designed by Daryl Andrews & Adrian Adamescu with graphic artistry by Peter Wocken.